We meet on the second Monday of each odd month at 136 Main Street in Lagrange in the Abbott, Jordan, and Koon building. We would love to have you join us. Below is a map, where you may attain driving directions. The meetings begin at 5:30pm... We'll see you there! 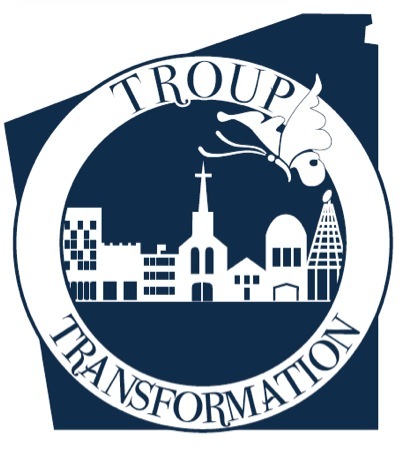 If you would like to join Troup Transformation, please contact us today. You may also leave any comments or suggestions. Copyright Troup Transformation. All rights reserved.